Find the newest farm real estate listings and ranch homes for sale in Austin, Texas! Work with The Berkshire Hathaway HomeServices Team, your Austin Ranch Home Specialists. 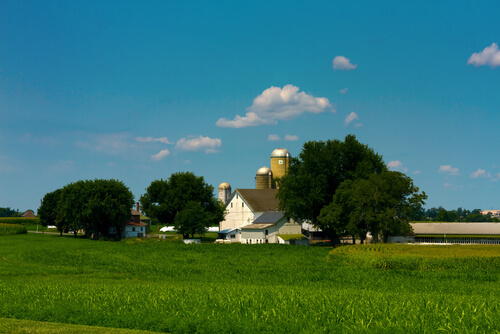 We are your number-one-rated rural property specialists in all of Texas. Our expertise spans across an array of agricultural properties including farm land, commercial, residential, ranch, organic and timberland. Our site is designed with the latest technologies available to help ensure that you’ll see new listings as soon as they’re made available on the Austin MLS. Users can use our site to create custom searches to find farm land that best meets their needs or save time and call us today. If you're looking for something specific, reach out to one of our experts and find exactly what you're looking for. Find idyllic farms and ranches for sale in the rural hills of Texas. Farms and acreages are waiting to be discovered - start your custom search here! 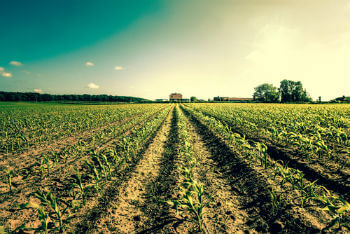 Browse through the listings or read more about farm land amenities below. For more information on Austin Farmland & Ranch Real Estate or to schedule a private showing, call your Austin real estate specialists – the Berkshire Hathaway HomeServices Team at (512) 483-6000. Browse through the most recently listed Farmland & Ranch homes for sale below or read more about these specific properties and how to search for one that meets your needs. Don't miss an opportunity to own an income producing property. For some, finding a ranch property with the right amenities is of the utmost importance. At Berkshire Hathaway HomeServices, our team always has one ear to the ground looking for turn-key properties that will welcome the whole family. Some of the information you need for your search criteria may not be available on the MLS. That's why working with an expert is an essential part of finding a suitable home that will meet your needs. Stately compounds with guest homes, winding roads and ponds, barn types, paddock and pasture arenas are just some of the things that we keep watch for. Let us know what you need and we'll help you find it. The singular Texas rural countryside and the storied ranch lifestyle have become synonymous in popular culture. Nothing recalls the state's rich history like the iconic image of the cowboy or rancher making a living for their families off the land. Although modern life has enroached on many communities across the United States, wide-open properties can still be found in the beautiful rolling landscape outside of Austin. Just as the size of available ranches and farms vary widely, so do their uses. You need understand the rules and regulations behind each type of property, before you buy. The experts at Berkshire Hathaway HomeServices Texas would be more than happy to lend their expertise to your next property search. Avoid any nasty surprises after your purchase and consult the local experts that know what their doing. We can help you find luxurious compound estates, ranches, farmland or specific amenities. Call us at (512) 483-6000 or contact us online and a dedicated member from our team will reach out and contact you directly.